In 2013, the MIT Media Lab started creating a new version of Scratch, a graphical, block-based programming language used by tens of millions of kids to create and share interactive stories, games, and animations. We partnered with the Media Lab on this new version of the language—Scratch 3.0—and the Google Blockly team developed the programming language’s graphical coding blocks. OurCS First program, which offers kids in fourth through eighth grades Scratch coding lessons, also created new activities designed to teach Scratch’s new features. On January 2, Scratch 3.0 launched with a new look, new sprites (digital characters that perform actions in a project), backdrops (backgrounds), sounds, and extensions—plus, it’s now available on tablets. To help educators get ready for Scratch 3.0, we’ve created a comprehensive help article that includes support documents and videos featuring the new interface and customizable lesson plans. I recently caught up with Mitchel Resnick, who leads the group at MIT that develops Scratch, to talk about the programming language and what’s new in version 3.0. What is Scratch 3.0 and why is it cool? Scratch 3.0 is a new version of Scratch that expands how and what students can create with code. We’re excited to see the diverse and creative projects that students will develop with it. What are your favorite features of 3.0? I love the Scratch 3.0 “extensions.” Each extension gives students an extra set of coding blocks to take Scratch’s capabilities even further. With new robotics extensions, students can use Scratch to program motors, lights and sensors. With the Google Translate extension, students can program characters to speak in other languages. As the library of extensions continues to grow, Scratch will have even more capabilities. If you had to choose a sprite to represent yourself, which would you choose and why? I’d choose the Ten80 Dance sprite. I’m a really bad dancer myself and wish I had moves like these. What are some of the new sprites and backdrops? We worked with artists and illustrators (including long-time Scratcher ipzy) to create a diverse collection of new sprites and backdrops. You’ll find new fashion sprites, animals, snacks, cars and more. Do you want to create a fantasy world with centaurs, griffins and unicorns? How about a game set in outer space? Are you into sports or dancing or dinosaurs? Whatever you’re interested in, we think there’s something for everyone in Scratch 3.0. What are some Scratch 3.0 features that educators will like? 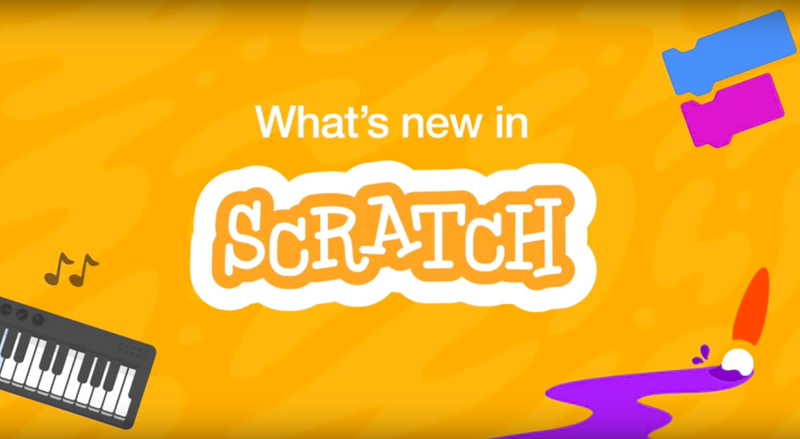 Educators will appreciate the new video tutorials in Scratch 3.0—there are tutorials to help students get started, explain new features and support new types of projects. We also worked closely with the CS First team to ensure that CS First videos and activities are ready for use with Scratch 3.0. Plus, Scratch 3.0 works on many different platforms, including touch devices like tablets—and there’s a desktop version of Scratch 3.0, so you can still use Scratch 3.0 even if you don’t have an internet connection. Scratch 3.0 is live in CS First now, so be sure to check out its new look and features. To get some inspiration for your next creation, head to theonline community to see others’ Scratch projects.